West Ham United will host Macclesfield Town in the Carabao Cup 3rd round, here’s everything you need to know about the encounter. Last time out in the Carabao Cup, Macclesfield Town beat Walsall on penalties, resulting in them being the lowest rank team left in the competition. Their reward? A trip to the London Stadium to face Manuel Pellegrini’s West Ham United. 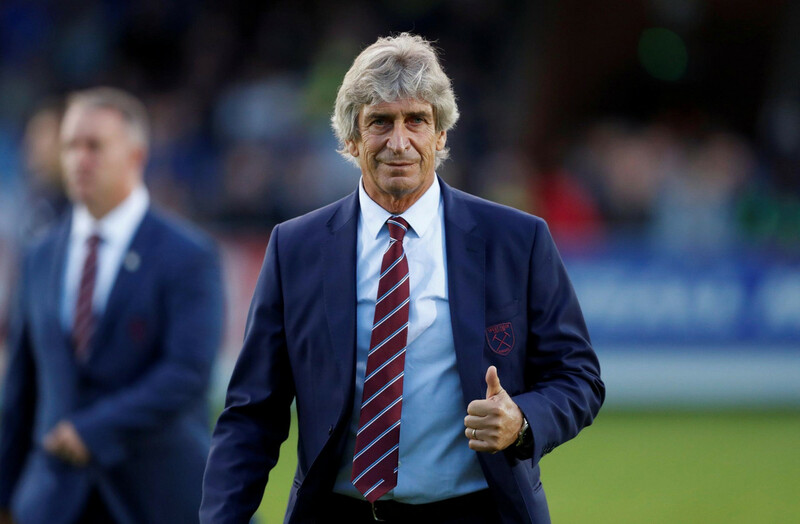 Following a horrific start to life under new boss Pellegrini, the Hammers have picked up in form, and will now look to go three games unbeaten following a 3-1 win at Goodison Park, and by an equally impressive point at home to Maurizio Sarri’s Chelsea. As for the visitors, this league campaign has started very disappointingly, losing all of their last four in League Two, resulting in them currently sitting rock bottom of England’s fourth tier - the cup maybe being some welcome rest-bite for Mark Yates’ men. With there being so many additions to the Chilean manager's squad thus far in his era in charge of the Irons, many changes could take place to give game time to players getting less minutes so far in the Premier League. The likes of Issa Diop and Lucas Perez featured last round against AFC Wimbledon and could be expected to feature heavily again in this tie, whilst Michail Antonio is also likely to get some minutes. It is unlikely that Marko Arnautovic will return from injury, or be risked ahead of a big game against Manchester United at the weekend, although Pellegrini's side are likely to still field a relatively strong squad to avoid an upset like they nearly endured last time out. This game also offers the possibility for further minutes to be handed to youngster Declan Rice, who has been very impressive as of late, as Pablo Zabaleta has noticed. “Declan is young, he still has room for improvement for sure, but you can see he has the right attitude and ability to become one of the greatest players for West Ham,” Zabaleta said. Predicted XI: Adrian, Pablo Zabaleta, Issa Diop, Angelo Ogbonna, Aaron Cresswell, Pedro Obiang, Declan Rice, Nathan Holland, Lucas Perez, Felipe Anderson, Michail Antonio. As for Macclesfield, it is likely that they will use the occasion to test themselves against superior opposition, most likely meaning they will field a strong XI to try and cause an upset in East London. Although, the League Two side will be without one of their key names, Michael Rose, following his sending off at the weekend against Morecambe. James Pearson was interviewed after this weekends defeat and is confident the Silkmen can bounce back. "It's a disappointing result and we've got to stay positive" stated the defender, "I'm confident that we can turn this around." A win at the London Stadium would certainly send Macclesfield in the right direction. Predicted XI: Kieran O'Hara, James Pearson, Fiacre Kelleher, Jamie Grimes, David Fitzpatrick, Callum Maycock, Danny Whitaker, Callum Evans, Malachi Napa, Nathan Blissett, Tyrone Marsh. These two sides have faced each other twice before, once in 2002 in the FA Cup, and once in this competition 10 years ago - the Hammers coming out on top convincingly on both occasions. Whilst a game in a cup competition can never be described as a foregone conclusion, with many giant killings taking place in the past, it is undoubted that West Ham will be the more confident side of going one step closer to a Wembley appearance come Wednesday night.